Topics: Joy, Christmas, Advent, Genealogy, Good News, Women, Bad Girls of Bible, Busyness, Commercialism, Family Dysfunction. How many of you have all your shopping done? Do you have your presents wrapped? Who has at least half of their Christmas shopping done? Anyone, not started yet? How many of you have all your baking done and candy made? (I know some of you have started—I’m already starting to get all kinds of goodies. YUM! My favorite part of the season!) Who has all their Christmas cards sent? Parents, raise your hand if you’ve taken you kids to see Santa! (I hope you have, Santa needs those lists. That is the first things we did—had our kids drop off their lists to the Santa mail box in the BonTon. I don’t know about your kids, but I’ve never seen my boys work so hard as they did when they got their lists ready!) Well I could keep going but that gives us a good idea of how ready we are for Christmas. Advent is a 4 week period of preparation for Christmas. It’s not a physical preparation. It is a spiritual preparation. To help us prepare, we are going to talk about the JOY of Christmas this week. Next week, we will talk about the faith of Joseph. 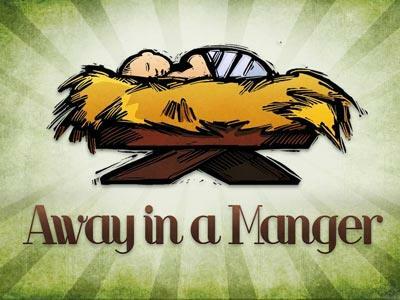 Christmas Eve we will talk about the Magi or Wiseman and consider the fact that Wisemen and Woman still seek Jesus. 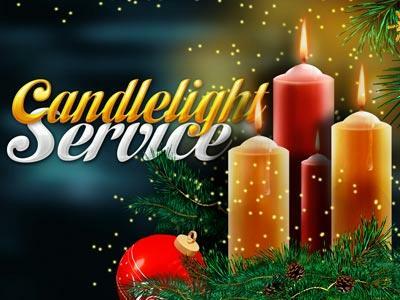 It will be a simple candlelight service with lots of Christmas carols. It will be a perfect opportunity to invite an un-churched friend or co-worker. Then, Christmas Day, we will have another simple service with lots of carols and a brief message about Christmas Love and God’s Gift to us! So what did you think? Kind of funny wasn’t it! Most of us wonder how someone could be that clueless. I mean we know what Christmas is all about right! But I wonder if at least some us, even though we know what Christmas is all about up here (in our minds), we fail to make the connection down here (in our hearts). And if we fail to make the connection in our hearts, I wonder if that takes away some of JOY we could be experiencing this time of year! But the angel said to them, “Do not be afraid. I bring you good news of great joy that will be for all the people. Today in the town of David a Savior has been born to you; he is Christ the Lord." 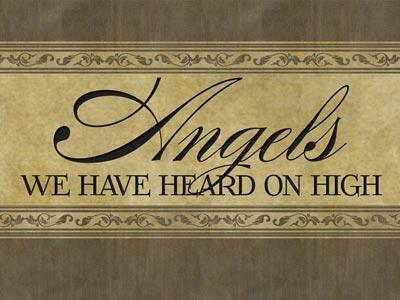 According to the angel, Christmas should be Good News. But not just Good News, it should be Good News of Great Joy! I don’t know about you, but many times my Christmas season doesn’t feel like Good News and I don’t have great joy! Have you ever experienced a Christmas season where you just were not feeling it? Where you were stressed out and busy to the max? Where Christmas was just a lot of work? 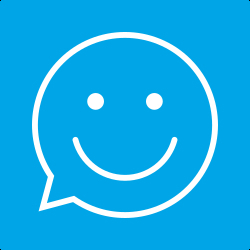 Where you were with friends and family but felt alone or annoyed? Have you ever experienced a Christmas where you had little joy? Maybe you’ve felt like this woman: She was doing her last-minute Christmas shopping at a crowded mall. She was tired of fighting the crowds. She was tired of standing in lines. She was tired of fighting her way down long aisles looking for a gift that had sold out days before. Her arms were full of bulky packages when the Elevator door opened. …It was full! We need to remember who is responsible for the whole Christmas thing. It is all about God who loved the world so much that He gave us a savior who is Christ the Lord.